Incubated Pakistan - Are Incubators Delivering on their Promise? Incubated Pakistan – Are Incubators Delivering on their Promise? For those unaware of the term ‘incubator’, they are organisations that are designed to support entrepreneurial companies grow by offering mentorship, office space, networking, capital, and more. Over the recent years, the amount of ‘start-ups’ Pakistan is producing has been phenomenal, which has led incubators thriving. 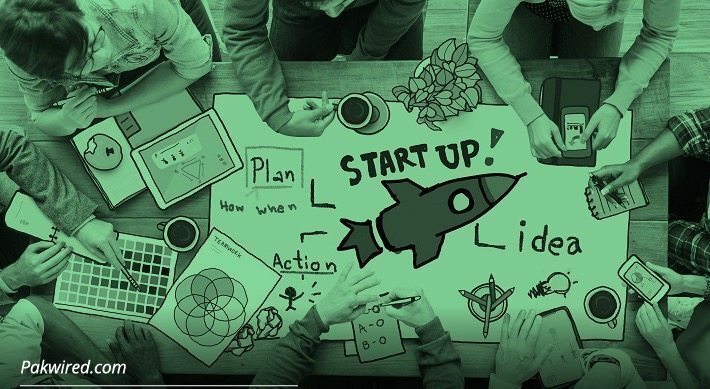 This article aims to review the general landscape of the start-up economy with particular focus on the role of these incubators in growing the start-ups. It isn’t a coincidence that most leading tech companies stem from Silicon Valley in the US. The environment is key to the success and as such, Pakistan creating a conducive environment for start-ups is fundamental to a successful nation. A generation of young, enthusiastic entrepreneurs seems willing to step up and solve real-life problems, but many lack experience, exposure and business related knowledge. This is where the incubators come in. Each brand has its own business model but effectively play the same role in ‘maturing’ the entrepreneurs and their companies. With the droves of entrepreneurs coming to the incubators for their support, expectedly they have a filtering process. Incubators normally run on cycles like two-a-year, and in each cycle they can house ‘x’ companies. With a limited amount of space per cycle, companies pitch to the incubators for a coveted spot. Once on board, the companies normally work full-time learning, building and growing according to a plan set out in the initial stages. Getting selected by an incubator sounds like a dream come true. Before writing, I approached a few companies who had either been through, or were about to complete a cycle of incubation, so they had a good overview of the incubation experience. It is not intended that any specific incubators be mentioned so keeping sources confidential is also a necessity. Feedback from four different sources from varying incubators indicates the entrepreneurs seem happy with what they have learnt and confident in the next stage of their company’s life. The entrepreneurs were content that they had learnt a lot and were introduced to mentors alongside a growth in their network. Practice on pitching was also mentioned as a highlight. Another entrepreneur however had severe reservations towards ‘one of the largest’ incubators in Pakistan due the negative experience they had been subjected to. They went on to find mentors themselves and believe this way offered them a much better return. From the limited research conducted, generally, it seems the companies are content with their time spent at the incubators. Not everyone will enjoy or benefit from the experience though. Measuring incubators can be done from the perspective of the user, as discussed and alternatively from a result-oriented way too. Meaning, to understand this better one must review the output of the incubators. You may have come across the companies which have been incubated but how does one gauge success? Revenue? Amount of Users? Profits? Personally, I would suggest ‘quality’. I believe quality should be used as a factor to gauge the success of the incubators. The reasoning behind this two-fold. Firstly, the user-experience of the entrepreneurs will normally be subjective based on variables such as personal level of experience (an experienced person might not learn as much and thus may not be engaged as much as someone with less experience), the ‘buzz’ of being selected may provide an artificial positivity that may not be present in other environments. Secondly, high-quality incubators will drive stronger companies. Those that can become challengers in the global market. Referring back to the disgruntled entrepreneur, he mentioned he had been working on a niche product for a few years before approaching an incubator but was quickly disappointed when, on he’s first appointment, he was pitching to assistants instead of the potential mentors. Later, he believed the custom of allocating random mentors wasn’t viable as the whole point was to be mentored by someone in the same industry, it would be a detriment to an engineering company to be mentored by a HR mentor. Though some overlaps of business will exist, ultimately there will be a lot uncommon ground. I thought these to be valid points and a sensible analysis rather than a biased or vengeful outburst. Indication was also given to a ‘monopoly’ being played by incubation leaders, in using their influence to get companies through. On a similar line, one Kanwal Masroor from Tecube, on behalf of Tech Pakistan was also approached who echoed similar concerns at the lack of quality of incubators. Kanwal felt incubation had become a popular trend and seemed to be popping up everywhere for the sake of it, rather the real reasons of building companies to grow and succeed. Another senior businessman used an example of a particular company was mentioned which has been receiving funding for over a few years with a recent funding from the IT R&D fund of just-over 2.5 Crores. Nothing wrong with R&D or funding per se, but who is gauging the success of the company? Is anyone monitoring the spend on monies? More importantly, what role have the incubators played in growing this company? This is just one example of many. Another point to note was the times it had been through the cycle, can this be related to the previously-mentioned monopoly? Personally checking a few companies who have been through incubation, I feel their half-baked sites and applications don’t do justice to their efforts. A great idea or company is known through its first interaction, some of the sites I checked had low-quality user-experience and some had fundamental bugs which prevented them from offering the advertised service. Granted it is the company’s role to polish, but as incubators, is it not incumbent to grow the companies to a level of maturity on par with worldwide companies where trivial things like a polished site are customary rather than an issue? Our awaam has obstacles in gaining business knowledge so getting into incubation is dream come true, and many are living this dream. Though if we compare this with what seems to be lacking, the deal doesn’t seem so sweet. Is it just another industry making the most of an upward trend at the expense of a challenged nation who’s only mistake was to look up to a mentor / leader? Does this show that we need the ‘mentors’ to up their game? Maybe mentors can be humbled to accept the constructive feedback, till then it seems, we may have a case of the blind leading the blind.